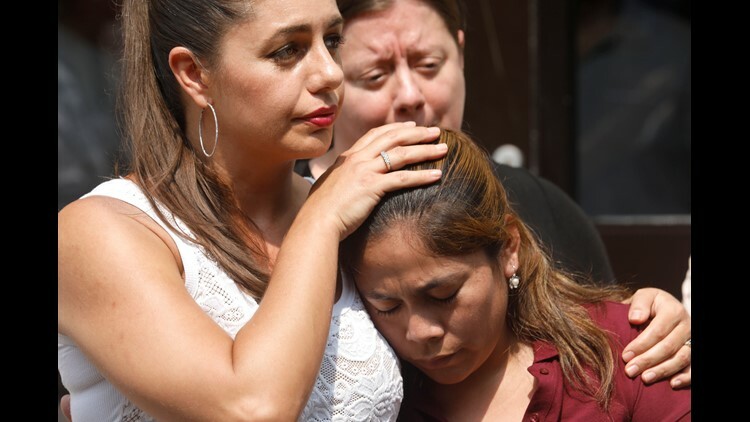 WHITE PLAINS, N.Y. — Yeni Maricela Gonzalez Garcia, the Guatemalan woman reunited with her children at an East Harlem facility this week after a month at an Arizona immigration facility, is getting a free lawyer, courtesy of New York State. 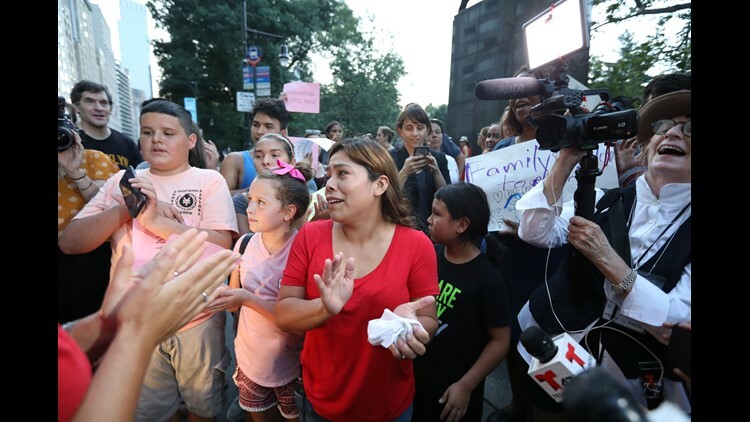 Yeni Gonzalez Garcia, a Guatemalan migrant woman who was separated from her children over a month ago at the border, spoke to the press at the Cayuga Center in Harlem after seeing her children on July 3, 2018. Gov. Andrew Cuomo announced Thursday that the state has enlisted the Washington D.C.-based law firm of Akin, Gump, Strauss, Hauer & Feld to represent Gonzalez Garcia through New York's Liberty Defense Project. Founded last year, the project is a first-of-its-kind public/private partnership designed to assist immigrants in the state, regardless of status. "No parent should ever have to face the horror that Yeni Maricela Gonzalez Garcia endured when the federal government detained her and took away her children at the border," Cuomo said in a statement. "In New York, we stand with immigrant families, and we are fighting to protect their constitutional rights and reunify parents with their children." Gonzalez Garcia was detained by immigration authorities after crossing the U.S. border in May. On May 21, her three children were removed and sent to the Cayuga Centers children's facility in East Harlem as part of President Donald Trump's "zero tolerance" policy on immigration. Jose Xavier Orochena, a New York attorney, took up Gonzalez Garcia's cause and was able to have her released on bond from the Eloy Detention Facility in Arizona. Julie Schwietert Collazo, a Manhattan author, had learned of Gonzalez Garcia's plight and raised money for the bond and for her trip to reunite with her children in New York. The trip was made possible by a series of volunteers who took turns driving Gonzalez Garcia across the country in four days. Gonzalez Garcia was able to visit with her children on Tuesday morning and will be allowed to return daily to see them until their custody status is resolved. Gonzalez Garcia and her aunt in North Carolina have both applied to have the children placed in their homes, although the process could take two months or more. Orochena, the attorney who secured the release from the Arizona immigration facility, will work in conjunction with Akin, Gump, Strauss, Hauer & Feld. Yeni Maricela Gonzalez Garcia stops to meet with supporters in New York City July 2, 2018. She is here to see her three children for the first time since they were taken from an Arizona immigration facility six weeks ago.